Boys and girls, don’t you think that is a pretty name? I came from the warm south, where I went last winter, to tell you that Springtime is nearly here. I do not like the cities for they are black and noisy and full of those troublesome birds called English Sparrows. I take my pretty mate and out in the beautiful country we find a home. We build a nest of twigs, grass and hair, in a box that the farmer puts up for us near his barn. Sometimes we build in a hole in some old tree and soon there are tiny eggs in the nest. I sing to my mate and to the good people who own the barn. 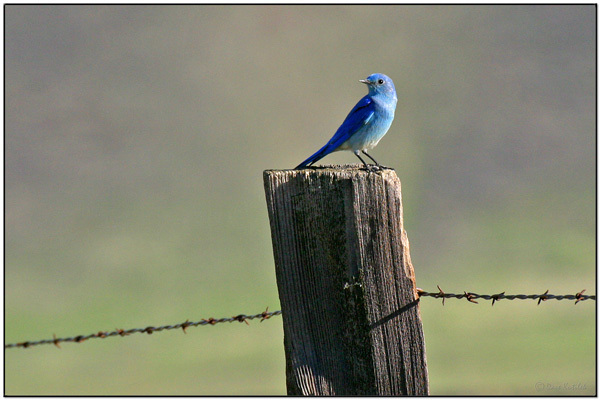 I heard the farmer say one day, “Isn’t it nice to hear the Bluebird sing? He must be very happy.” And I am, too, for by this time there are four or five little ones in the nest. Little Bluebirds are like little boys—they are always hungry. We work hard to find enough for them to eat. We feed them nice fat worms and bugs, and when their little wings are strong enough, we teach them how to fly. Soon they are large enough to hunt their own food, and can take care of themselves. The summer passes, and when we feel the breath of winter we go south again, for we do not like the cold. Out in the apple tree, where he is swinging. That God endowed with wings.E. E. R.
IKE a bit of sky this little harbinger of spring appears, as we see him and his mate househunting in early March. Oftentimes he makes his appearance as early as the middle of February, when his attractive note is heard long before he himself is seen. He is one of the last to leave us, and although the month of November is usually chosen by him as the fitting time for departure to a milder clime, his plaintive note is quite commonly heard on pleasant days throughout the winter season, and a few of the braver and hardier ones never entirely desert us. The Robin and the Blue Bird are tenderly associated in the memories of most persons whose childhood was passed on a farm or in the country village. 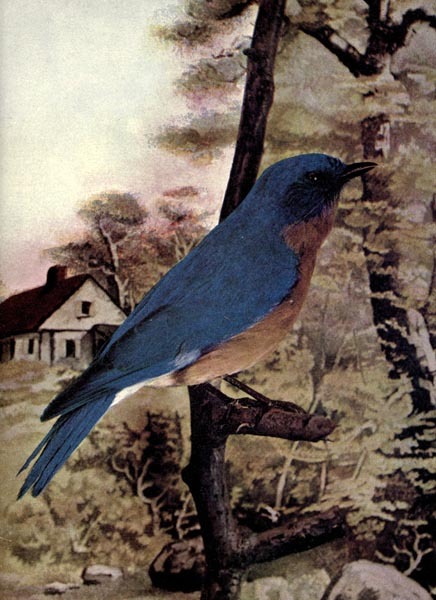 Before the advent of the English Sparrow, the Blue Bird was sure to be the first to occupy and the last to defend the little box prepared for his return, appearing in his blue jacket somewhat in advance of the plainly habited female, who on her arrival quite often found a habitation selected and ready for her acceptance, should he find favor in her sight. And then he becomes a most devoted husband and father, sitting by the nest and warbling with earnest affection his exquisite tune, and occasionally flying away in search of food for his mate and nestlings. The Blue Bird rears two broods in the season, and, should the weather be mild, even three. His nest contains three eggs. Somewhere the birds are singing evermore. “Think of your woods and orchards without birds! Hang empty ’mid the cobwebs of his dreams! Another delightful story from the past. Who doesn’t like Bluebirds? The bluebirds are a group of medium-sized, mostly insectivorous or omnivorous birds in the genus Sialia of the thrush family (Turdidae – Thrushes). Bluebirds are one of the few thrush genera in the Americas. They have blue, or blue and red, plumage. Female birds are less brightly colored than males, although color patterns are similar and there is no noticeable difference in size between sexes. Bluebirds are territorial, prefer open grassland with scattered trees and are cavity nesters (similar to many species of woodpecker). Bluebirds can typically produce between two and four broods during the spring and summer (March through August in the Northeastern United States). Males identify potential nest sites and try to attract prospective female mates to those nesting sites with special behaviors that include singing and flapping wings, and then placing some material in a nesting box or cavity. If the female accepts the male and the nesting site, she alone builds the nest and incubates the eggs. 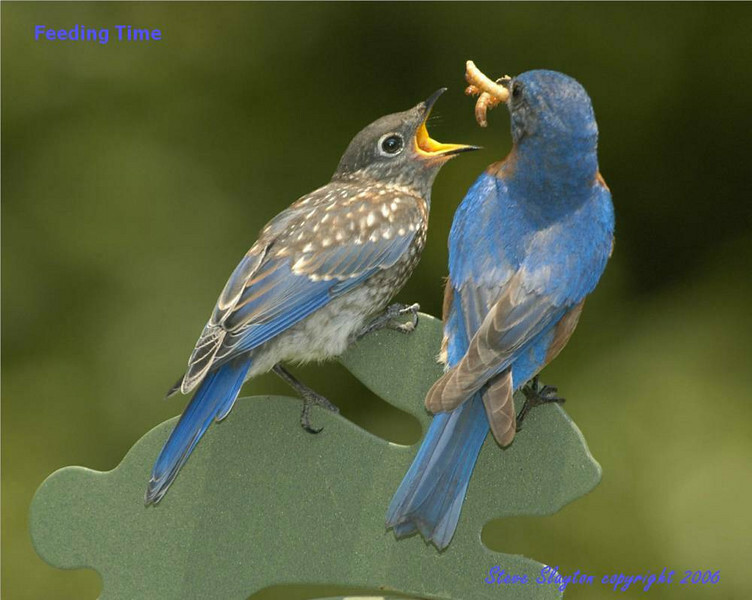 Bluebirds are attracted to platform bird feeders, filled with grubs of the darkling beetle, sold by many online bird product wholesalers as mealworms. Bluebirds will also eat raisins soaked in water. In addition, in winter bluebirds use backyard heated birdbaths. Of all the birds a gardener could choose to attract, the bluebird is the quintessential helpful garden bird. Gardeners go to extreme lengths to attract and keep them in the garden for their beneficial properties. 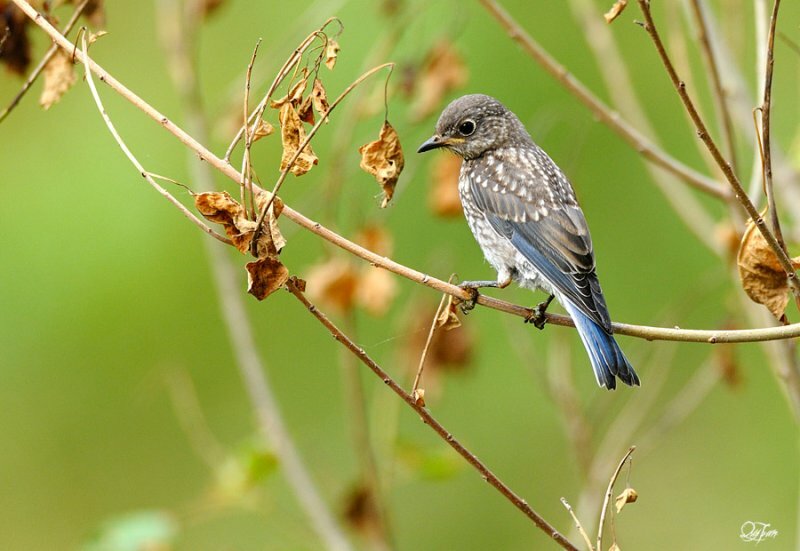 Bluebirds are voracious insect consumers, quickly ridding a garden of insect pests. By the 1970s, bluebird numbers had declined by estimates ranging to 70% due to unsuccessful competition with house sparrows and starlings, both introduced species, for nesting cavities, coupled with a decline in habitat. However, in late 2005 Cornell University’s Laboratory of Ornithology reported bluebird sightings across the southern U.S. as part of its yearly Backyard Bird Count, a strong indication of the bluebird’s return to the region. This upsurge can largely be attributed to a movement of volunteers establishing and maintaining bluebird trails. While traveling full-time in our RV, one of our volunteer jobs was to clean the Bluebird houses of the “Trail” at the Avon Park Air Force Range in Avon Park, FL. There were 100 houses over a 78 mile distance. They were about 1/2 mile or so apart. Needless to say, it wasn’t done in one day. That year the Bluebirds had produced about 468 Bluebirds in those boxes. We were able to watch the Eastern Bluebirds quite frequently. 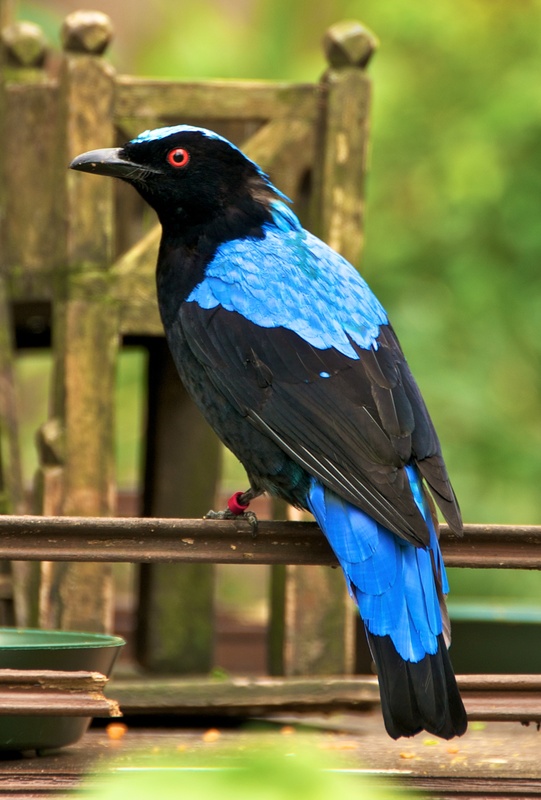 There are a few other “Bluebirds” around the world like the Asian Fairy-bluebird, Philippine Fairy-bluebird are in the Irenidae – Fairy-bluebird Family. 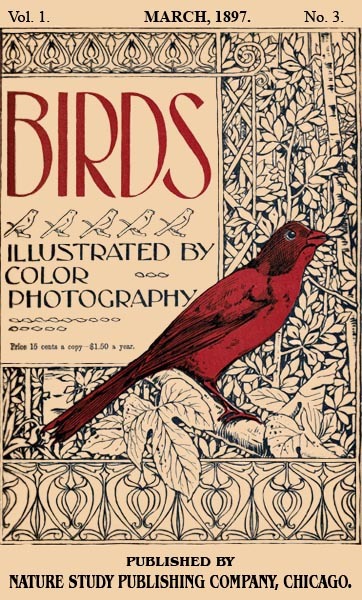 This entry was posted in Birds, Kid's Section and tagged Birds Illustrated by Color Photography, Birdwatching, Bluebird, From The Past, Home School, Kids, Photography, Turdidae, Turdidae – Thrushes, Vol 1 #3 March 1897, Youth. Bookmark the permalink.